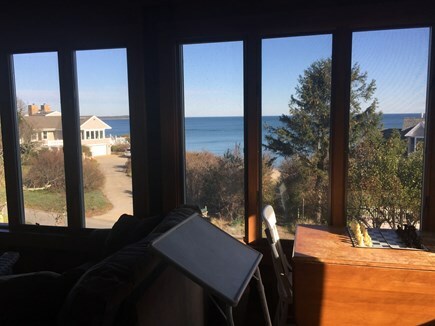 Just a few steps from the sandy beaches of the Cape Cod Bay, this rustic summer home is a one of a kind treasure, overflowing with history and spectacular views. From swimming, tanning, long walks and fishing, the private beach offers something for everyone. 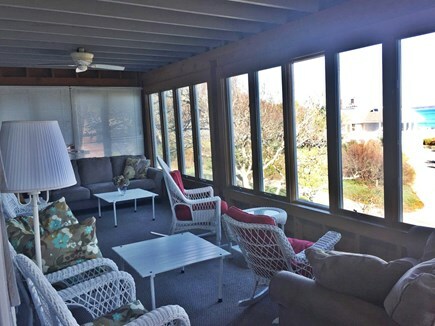 The extensive screened in porch allows you to take in the beauty of a famous Cape Cod sunrise without having to leave the comfort of your PJ's. 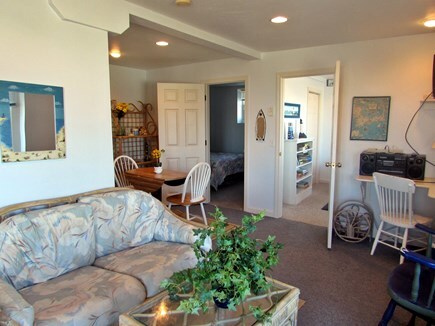 Amenities include a dishwasher, washer/dryer, cable TV, Internet, BBQ grill and outdoor shower - and linens are provided. 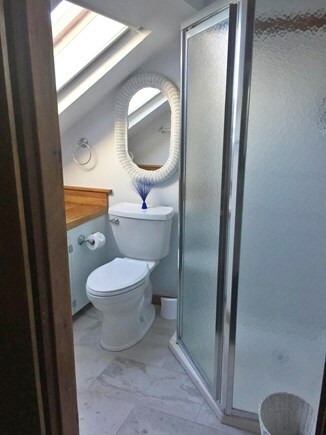 Go ahead and invite that mother-in-law that can get under your skin - with six bedrooms, this spacious house fits 12 comfortably (and there's always somewhere you can hide). So turn your phone off, and relish some quality time with loved ones. This isolated neighborhood is perfect for long bike rides with a public tennis court less than a mile away and a grill in the back yard, perfect for BBQ's. This house has been a cherished gem for our family for over 100 years, and we can't wait to share it with you. 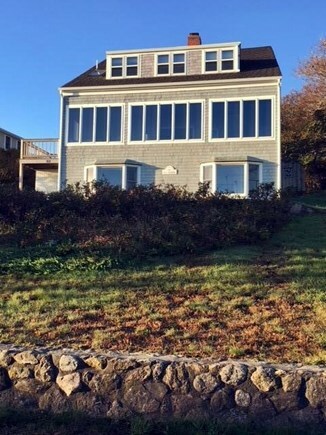 The Old House is exactly that, a rustic seaside home built in the mid-1920s. It reminds me very much of my grandparents' New England oceanside home. The home is well balanced between social areas and sleeping quarters, and is quite comfortable for larger groups. However, the separation of the lower level sleeping and communal areas from the rest of the house creates a cozy feeling for smaller groups as well. 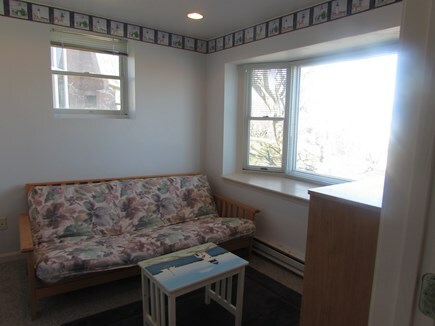 We specifically vacation on Sagamore Beach for the beach privacy it affords, coupled with its quiet and upscale neighborhood. Very close to the action of Cape Cod for those looking for adventure but very distant from the crowds for those looking for some resemblance of solitude in the crazy summer months. 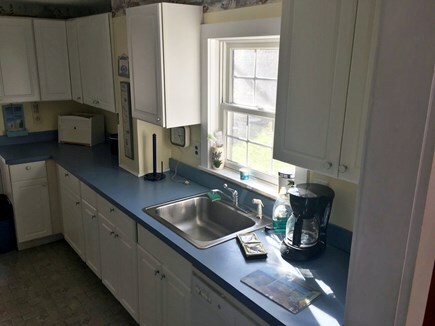 The beach path is right across the street, directly in front of the home, and is a neighborhood-only access point to miles and miles of beach, stretching from the Cape Cod Canal to the south and Ellisville Harbor to the north. While Cape Cod Bay water can be chilly at times, a few days of onshore breezes brings in plenty of warm waters for swimming, boating, sailing, and kayaking. The owners are exceptionally responsive to any issue and live in the neighborhood. This is critical in case something unforeseen happens and if an issue needs to be addressed immediately. As the saying goes, “Those things happen,” and the proximity of the owners, coupled with their desire to provide an extraordinary rental experience, is a huge bonus for their clients. The owners are very nice and accommodating where they can be. We had a multi-generational family gathering there, and, after polling all the attendees, it is on our list to do again next summer. Thanks so much for letting us experience The Old House. Great home, great location, and great owners to deal with. We spent a week at this delightful home early in the fall and fell in love with the house and the community. It was the most relaxing vacation we ever had, and the tranquility of the space was life-giving. 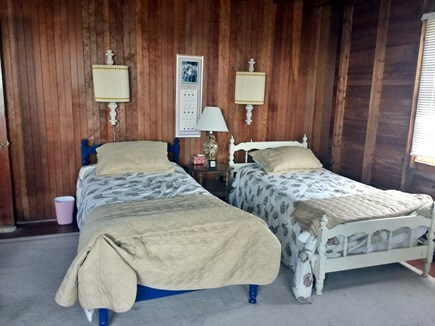 The house is charming and large with several levels and bedrooms galore, but also can be a cozy place well-suited for just a couple. 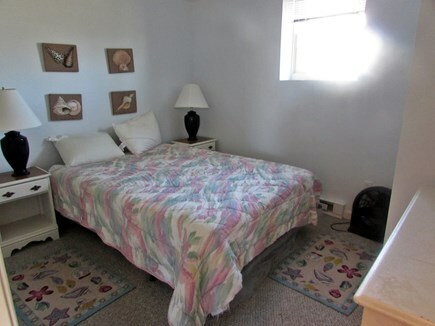 The property is located near the end of a quiet street, directly across from the private beach access point. One of my Favorite Places to Vacation! 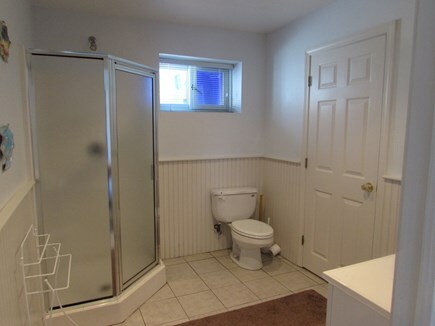 This house is great for couples and families alike. There is plenty of space for family dinners, game nights or just hanging out reading a book or taking a nap and relaxing. 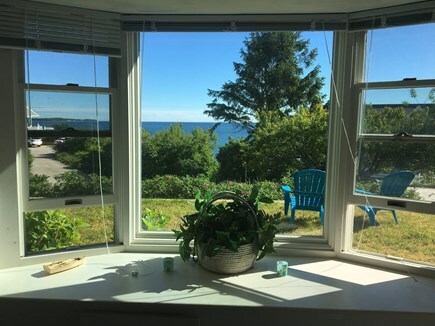 There is a large enclosed Porch area with great views of Cape Cod Bay, this quickly became our favorite spot in the house. The kids have plenty of room to spread out and play in the house when the weather doesn't cooperate. Thank God! The Galley kitchen is well stocked for nearly any occasion. Also, having 3 1/2 baths really makes the logistics of bathing and showers so much easier, especially with larger groups and families. The outside shower is great for cleaning up all that sand after a day at the beach. One of my favorite parts about the house is it's location! 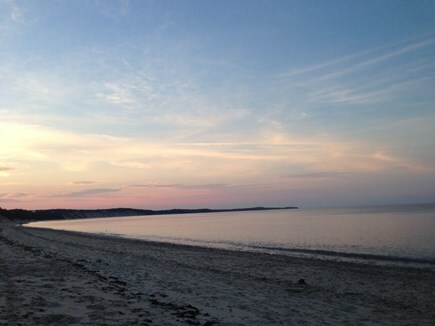 I can't say enough about Sagamore Beach and the beautiful private beach at your disposal just steps from the house. You can leave your stuff on the beach and come up for lunch or just for a bathroom break and not have to worry about your beach gear. While at the beach you can walk for miles in either direction or on the other hand you can just chill on the beach with a good book or your favorite beverage. The beach is also great for kids with plenty shells, rocks and sand. There are also a few very nice sand bars, a short walk down the beach.This quickly becomes a favorite spot to explore with the kids. Also, if you enjoy playing a round of golf or playing tennis there are many options very near by. 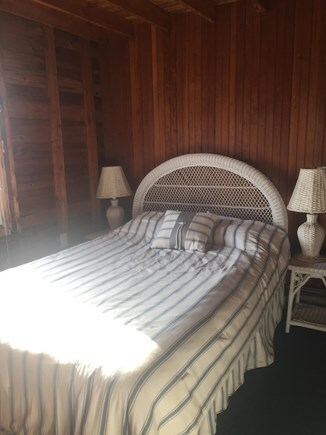 Lastly, the proximity to Sagamore Bridge is only a 5 minute car ride and this gets you on and off the Cape much easier and with less traffic.This house and location has so much to offer that I just touched on a few of our favorite things. My family has been staying at this property on and off for over 35 years and we have cherished this house for many reasons. 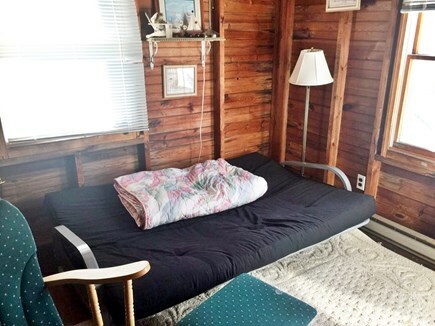 It sits on a bluff overlooking the ocean with a screened in porch that calls for sunset cocktails and game nights and of course lazy mornings reading the paper, coffee in hand. The trail down to the beach is just across the street a quick trip down and a little bit of a climb up but worth it. The ruggedly beautiful beach is private-neighborhood only and the best thing about it is the quiet. Often there is only a handful of people on the beach within a mile in each direction. You never need worry about finding a small patch of sand here. Like the beach, the house has an old world charm. 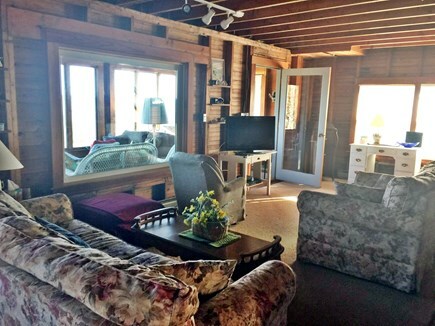 More beach cabin than constructed monolith, the house rambles like an elegant family cottage. 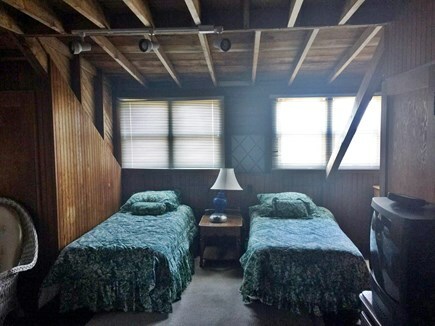 It has a dorm room, which can accommodate four and is suited to create many happy childhood memories. The lower level has its own entrance with a full bath and 2 bedrooms that can handle a young family or an older couple perfectly.